After many years of working overseas in a legal environment, Chrissie returned to New Zealand with her husband to own and operate several popular cafes in Christchurch. Ten years ago, Chrissie decided to pursue her interest in the real estate industry and continues to love every aspect of it. 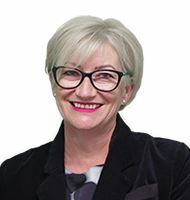 During that time, Chrissie has worked in many areas within the real estate industry including administration, customer service and selling properties. Chrissie's warmth and positive, energetic personality enables her to thrive on the excitement of new challenges and opportunities which she embraces with natural enthusiasm, dedication and commitment. Her engaging nature gives her an innate ability to understand people and their needs. Chrissie's 30 years experience in customer-based environments means her communication skills and understanding of her client's needs, are second to none.